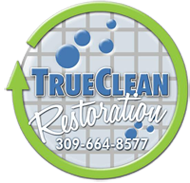 We offer a variety of restoration, drying, and cleaning services to Decatur, IL. If you live in Decatur, IL and need immediate service, we are here to help 24/7. Call us today! Click below to see our different services. Only one week after the water damage occurred, we were back to normal. We were able to conduct service as usual the next Sunday, and we owe that to Cody and his team for a job well done!